To get here you have different options. 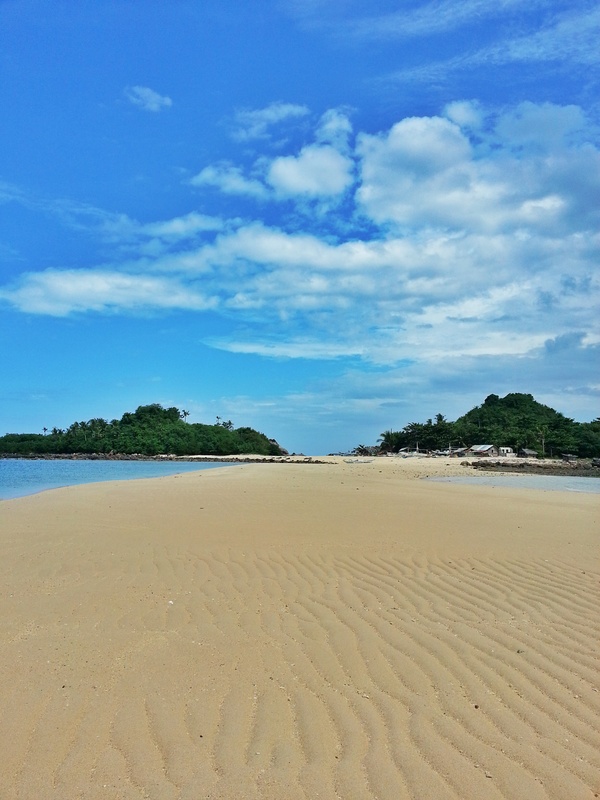 If you’re flying from Manila it’s best to go to Roxas as it’s only two hours away via Ceres Bus. Regardless of where you’re coming from as long as you reach Estancia Port before 1pm you’re good to go as there’s only 1 passenger boat plying Estancia-Gigantes route. Boat leaves between 1pm-2pm daily and to be sure which boat leaves for Gigantes, ask around. Tip: Book the earliest flight as much as possible. Take a van to significantly cut your travel time but for a cheaper alternative simply take a bus. 1. From Iloilo (Max of 5 Hours to get to Estancia): Get a cab (around 400 pesos) going to Tagbac Terminal or take the shuttle to SM City Iloilo (50 pesos) then take a jeepney going to Tagbac Terminal. From Tagbac Terminal, take either Ceres Bus/HPQ Buss (4 hours) or UV Express Van (2 hours) going to Estancia. Fare costs around 150 pesos. From Estancia, take a tricycle going to the Port (10 pesos). Ride a boat going to Gigantes (80 pesos). 2. From Roxas (Max of 3 Hours to get to Estancia): Take Ceres Bus (2 hours) going to Estancia. From Estancia, take a tricycle going to the Port (10 pesos). Ride a boat going to Gigantes (80 pesos). 3. From Kalibo (Max of 5 Hours to get to Estancia): I’m not sure if there’s a direct bus or van going to Estancia but you can take Ceres Bus or UV Express Van going to Roxas (2 hours) then to Estancia (2 hours). From Estancia, take a tricycle going to the Port (10 pesos). Ride a boat going to Gigantes (80 pesos). We checked-out from our hotel at around 8am and took a cab going to Tagbac Central Terminal. Between bus and van, we chose van for a much shorter travel time going to Estancia because they have fewer stops unlike a regular commuter buses. We had to wait though for all other passenger. We left at around 10am and arrived 2 and a half hours after. From the terminal we rode a tricycle going to the port. At the port, we hurriedly run to the nearest shed because of a sudden heavy rainfall. We waited for the rain to stop for like an hour before getting on the boat and lucky enough the sky cleared like it never rained. 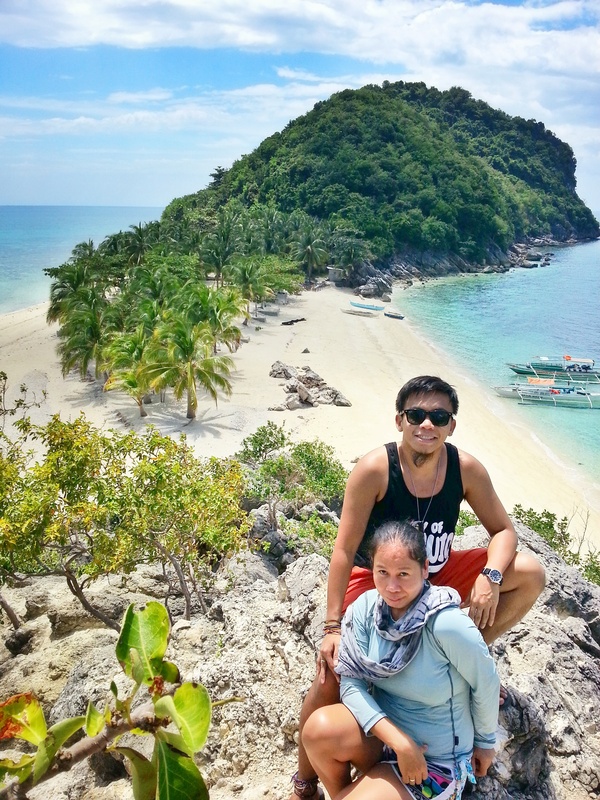 Since it was low tide when we arrived at Gigantes Norte, we had to transfer to a raft and balance ourselves while the boatman pushes it to get to the shore. Cool! From afar you can clearly see a mountain like pile of scallop shells along the shore. Getting ready to ride the raft. You see that mountain of scallop shells over there? 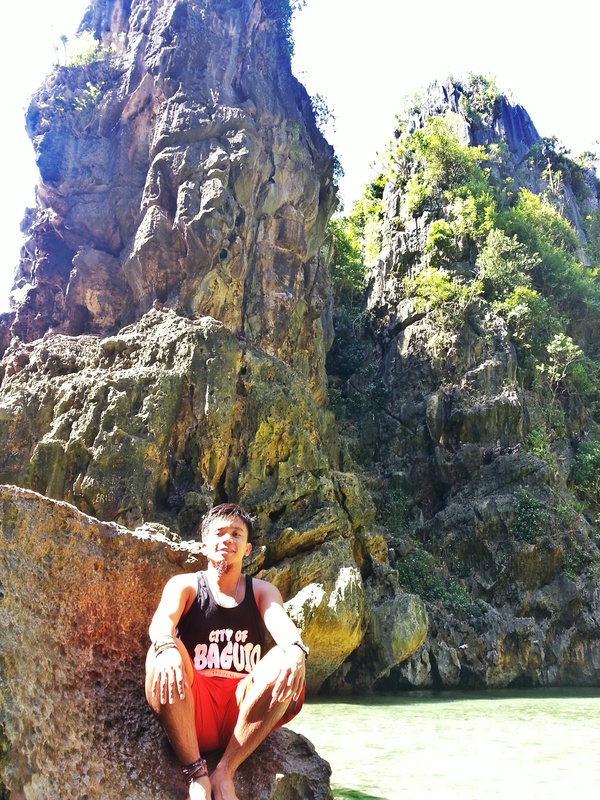 We then rode a Habal-Habal to get to Gigantes Hideaway Tourist Resort. We had coffee as our welcome drink under the shade of a Talisay tree. My ex-girlfriend and I together with Flo and Lea agreed to follow just one itinerary and go on one boat for our island hopping the next day. Since Joel originally arranged separate boats and guides for us, we agreed for a 2500 pesos boat fee for the island hopping instead of 1800 pesos per couple. That’s 650 pesos saving! After the arrangement, our guide brought us to our cottage. Here, they have a fix rate of 200 pesos per head per night if you stay in a fan room. They have cottages/rooms for small and big groups. They also have a tree house and cottages facing the sea. The resort has a very wide open space ready for expansion and a mini pool. Not wasting any time, we asked our guides if there’s any place we could go nearby. 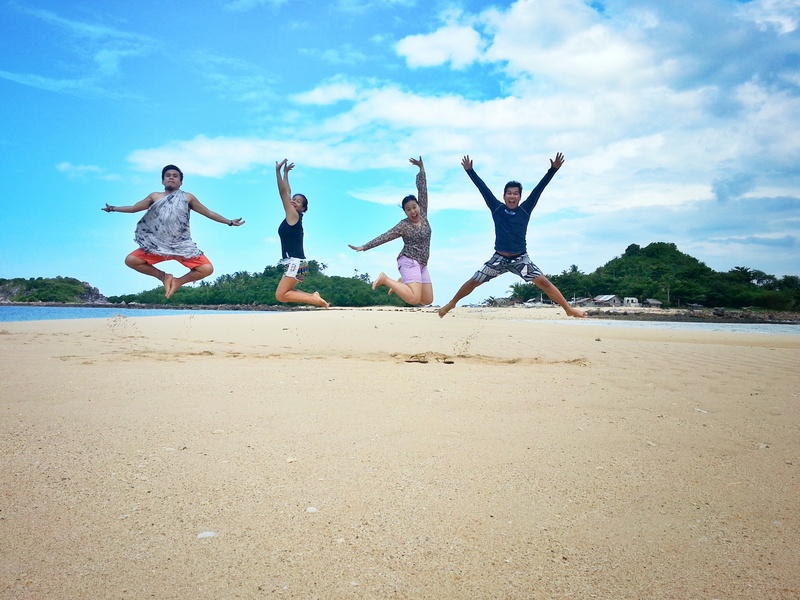 They suggested to visit Parola/Lighthouse. We rode a Habal-Habal then trekked for about 5mins to get to Parola. You also have the option to walk. If you’re not afraid of heights, you must go up. This is also a perfect spot to catch the sunrise. Group Pic – Flo was too scared to stand up. They really serve a lot so if I were you forgot about your diet. Just let your guide know if you only wish to be served with 1 or 2 viands. You can also ask for coffee, soda or beer and they would only charge you depending on how much it cost at a nearby store. Yes I think there are 2 sari-sari store near the resort where you can buy some stuff like shampoo, soap, toothbrush and even crisps. During our dinner we learned a lot about Flo and Lea, they were very open and it felt like we know them already for a very long time. We talked about almost anything under the sun. After dinner, instead of going inside our room we decided to take a dip in the mini pool and continued our bonding with the lovely couple. I am not sure but I think we finished past midnight. The following day we woke up really early to catch the sunrise. Breakfast was served at 7am. They gave us coffee first whilst preparing the table for breakfast. Everything was very organised here and it’s like having your very own PA. Since we requested for a smaller portion they served us light breakfast (still with rice). After breakfast we prepped up for our Island Hopping adventure. 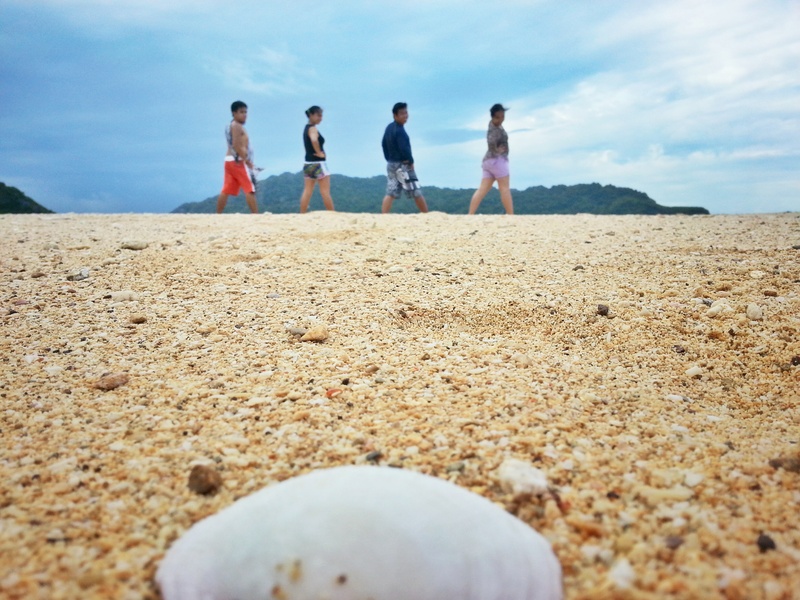 We started past 9am already because of our amazement with the countless number of scallop shells near the shore. 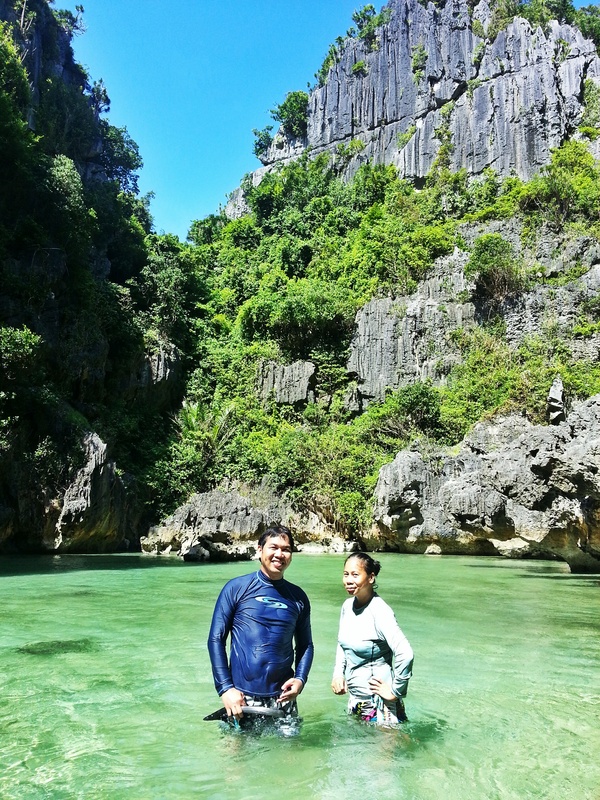 Our first stop was Tangke Lagoon. It was a challenge for most of us to get in because of strong waves making it hard to cross a makeshift bridge from the boat to the lagoon. Going back was another story. I even forgot to wear my slippers which made it even harder for me to walk through the rocks. 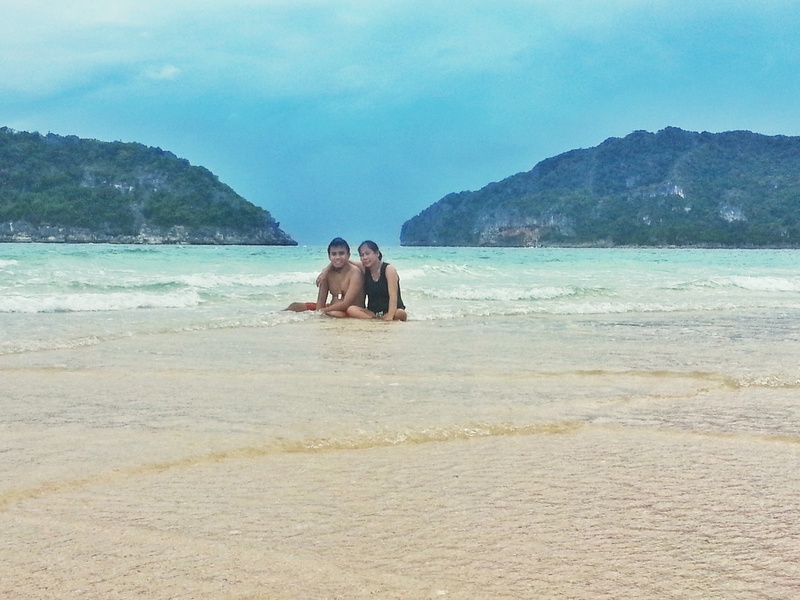 Inside, it felt like I was in Coron. 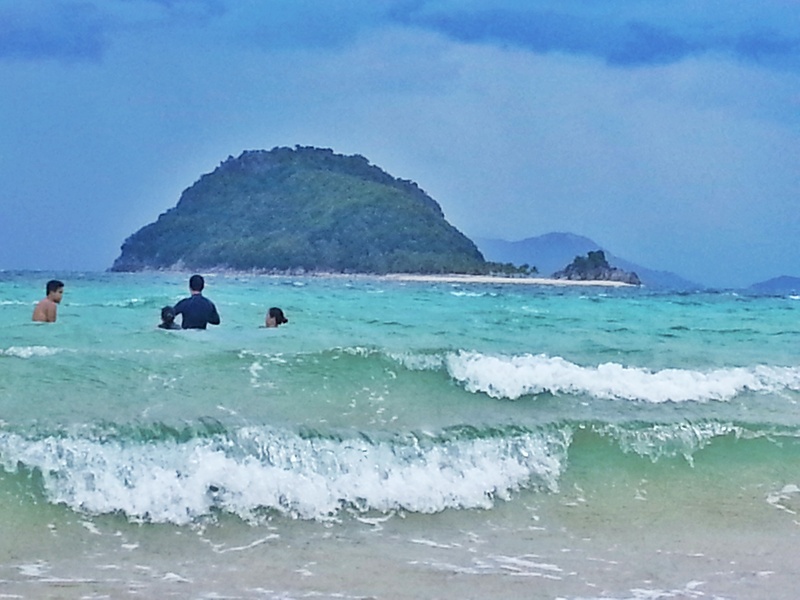 If you don’t know how to swim, this place is perfect for you as it’s not too shallow nor too deep. 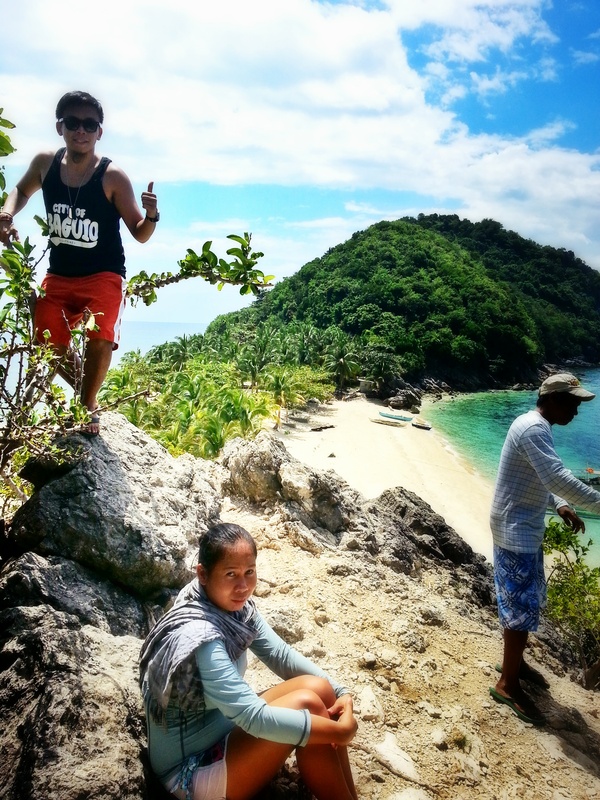 Our next stop was Cabugao Gamay Island. This is the most famous island here. 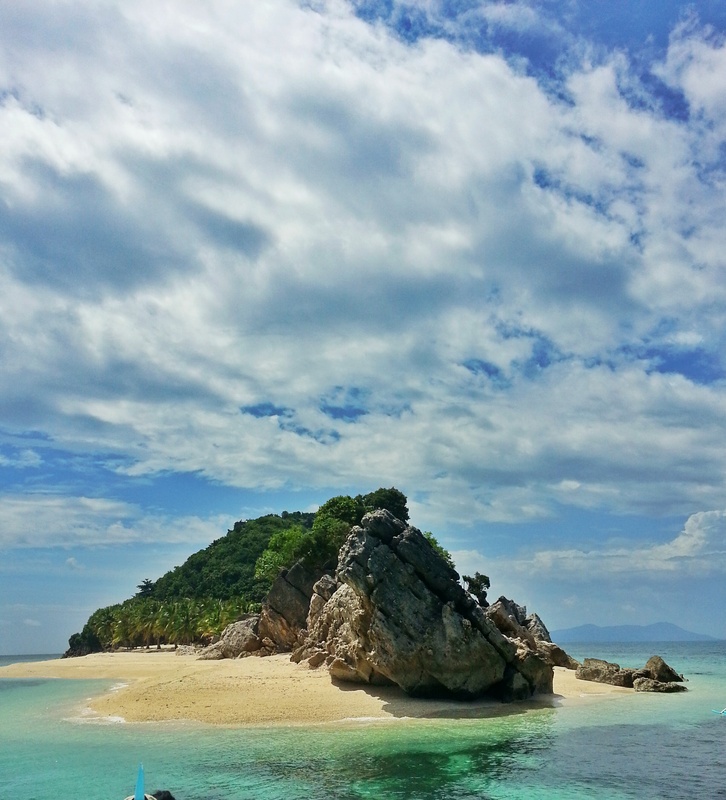 I think the shape of the island adds up to its charm aside from its powdery white sand and pristine blue waters. Group shots, jump shots, selfie, wide shots, stolen shots. We did all of it here. Just before we left, we were shocked to hear an explosion-like sound only to find out a fisherman threw a dynamite to catch some fish not very distant to where we were. I hope authorities are doing something to stop this madness. I’m sure they know it. 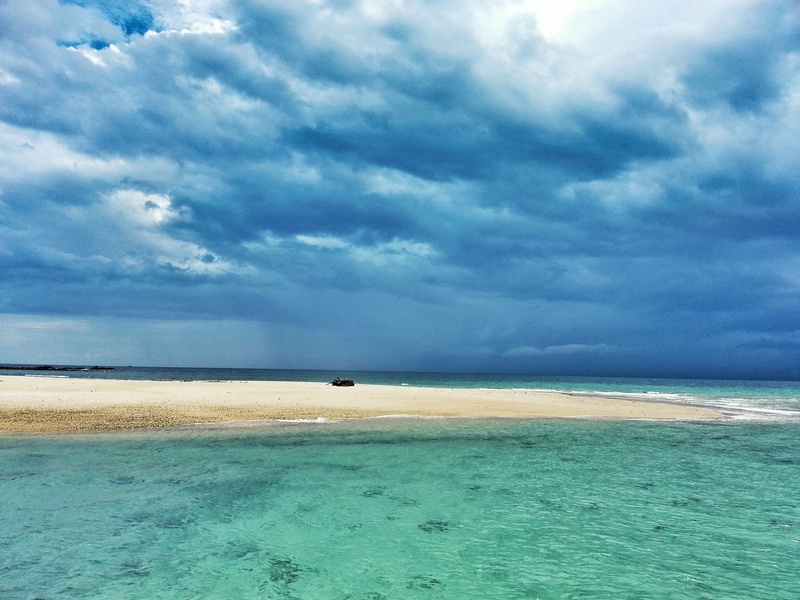 Our next stop was Bantigue Sand Bar. This served as a playground for us. 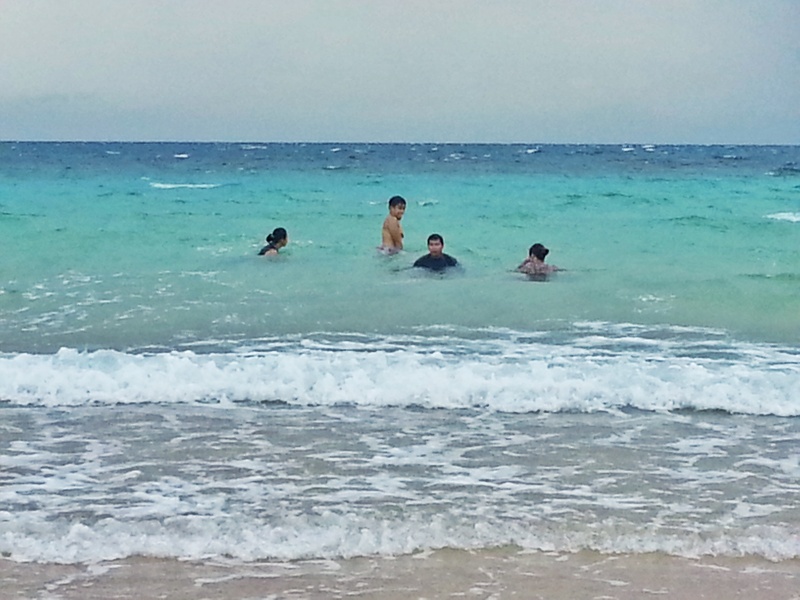 The strong wind from an incoming rain triggered non-stop waves and made the water warmer. We played like kids jumping on every waves we see. We loved it so much! 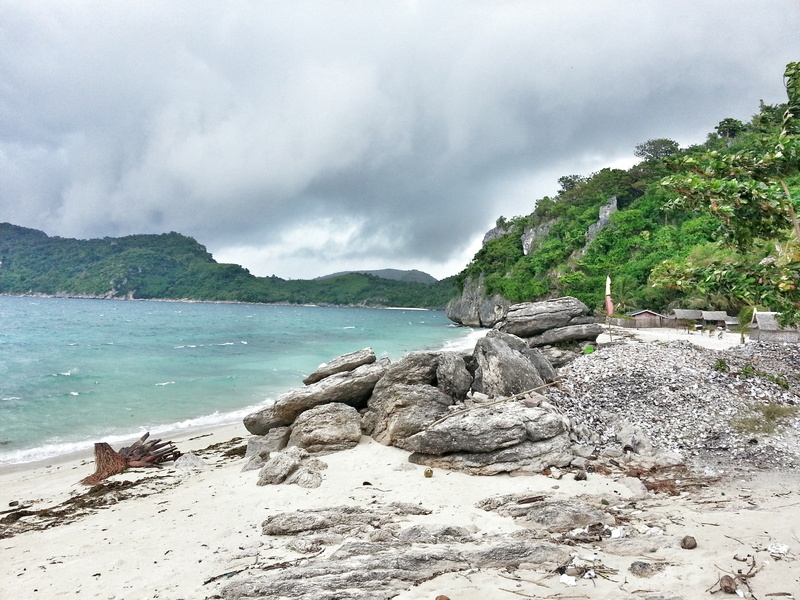 Our last stop was at Antonia Beach. 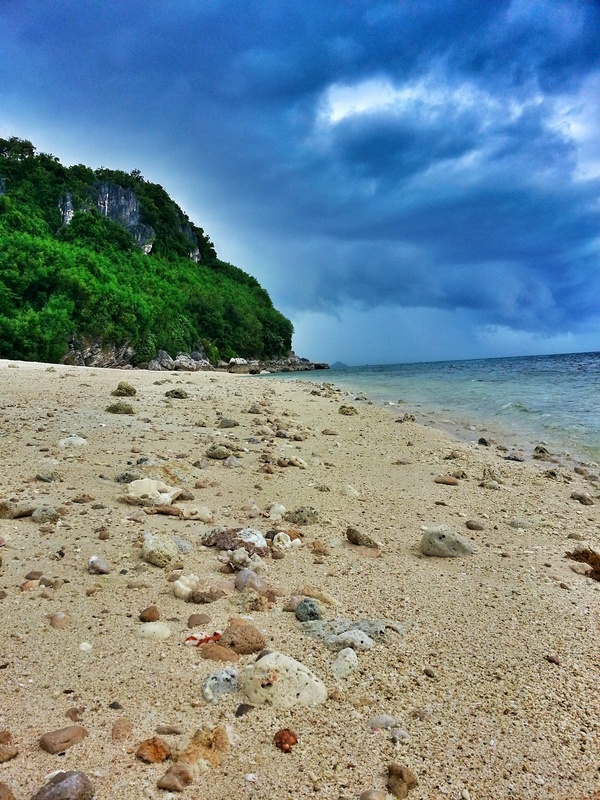 Whilst on the island, it rained heavily making it impossible for us to swim or snorkel. Instead, we stayed inside the kitchen of the island’s caretaker to have coffee and to eat spicy noodles. 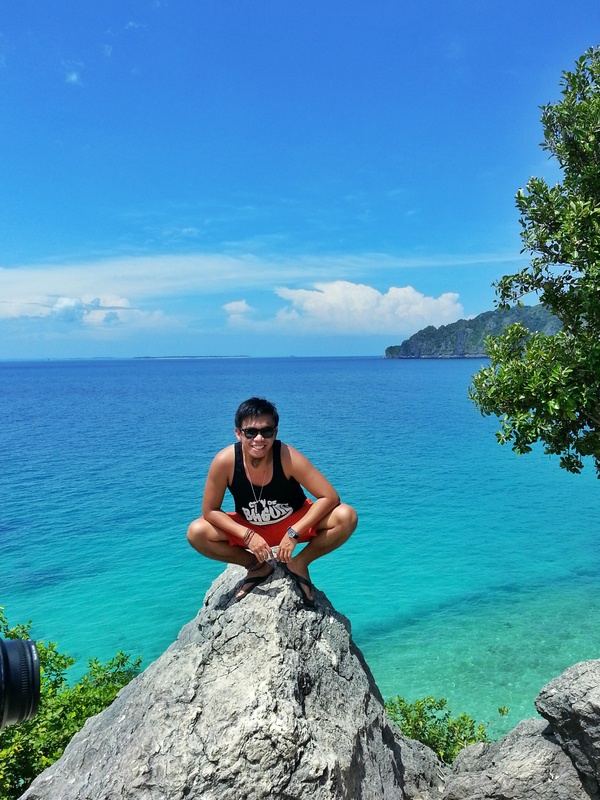 We met JayR here, a solo traveler who works in Singapore. 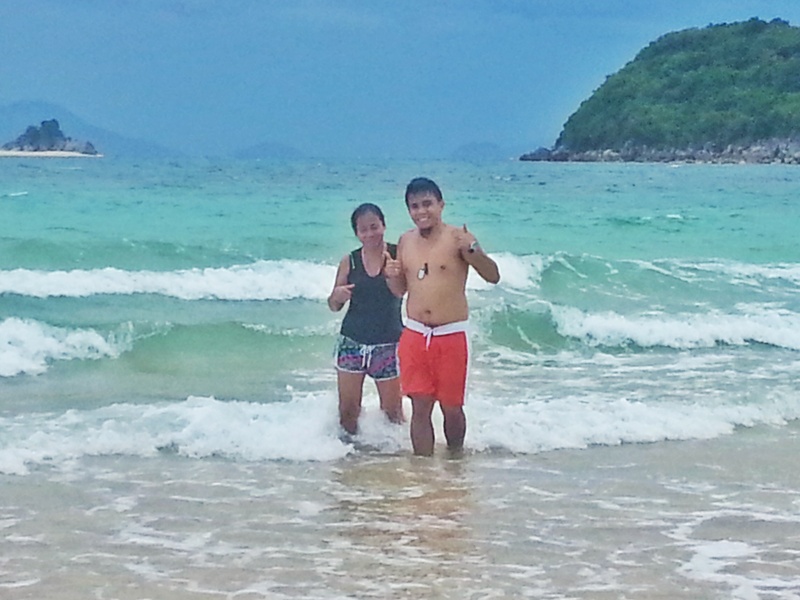 After the rain, we immediately went to sea to snorkel and swim. Just before leaving the island, they sold us 1 sack of wasay-wasay perfect for dinner for just 100 pesos. Nice! 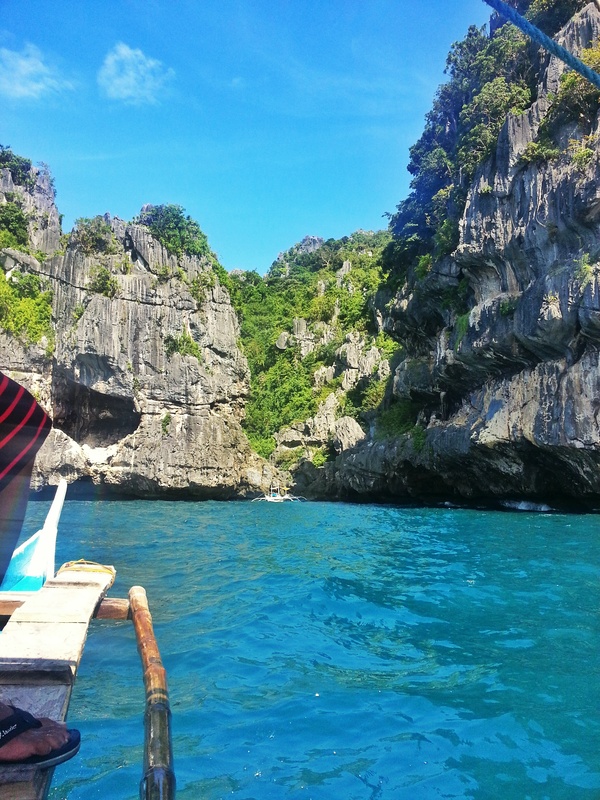 Our next trip was supposedly the caves but because of the rain and it’s almost 5pm we decided not to go anymore. There are more than 30 caves in the island so ask your guide and try to explore at least one. Just take extra care and make sure to bring insect repellant. Back in the resort for dinner, they served us steamed wasay-wasay, fish escabeche and adobong squid. Brrrppp! We were so full after. JayR also joined the feast. For our last night here, we asked our guides to set up a bonfire near the shore. It was lovely! The next morning, we packed all our things then had our breakfast. Kuya Joeneber showed us the ancient wood coffin known as “Longon” displayed at the back of the food hall whilst waiting for the details of the amount we need to settle before checkout. 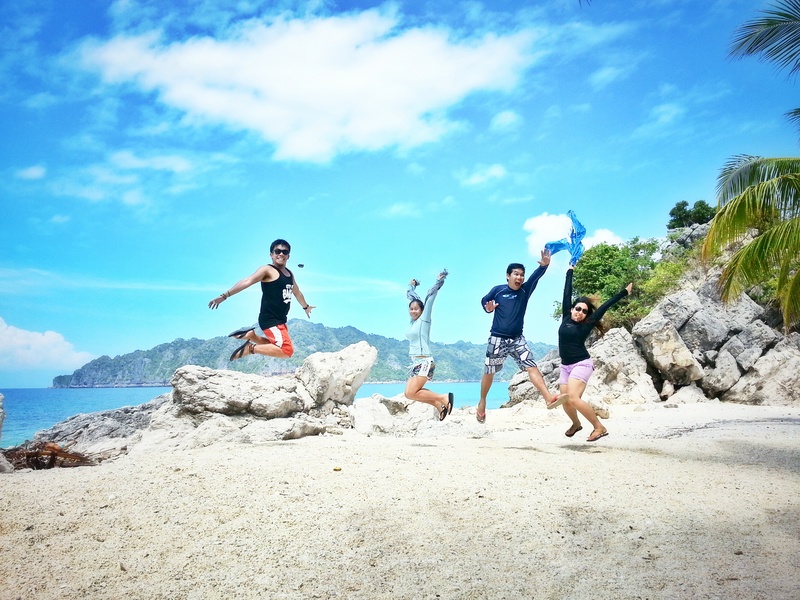 In total (3D2N food and accommodation + island hopping for 2) we paid 3,480 pesos. We were almost ready to leave but then we suddenly felt dizzy and saw the water in the pool spilling over. We heard the staff shouting and couldn’t believe we just experienced an earthquake. It was scary! What if there’s a tsunami?Aftershocks? Where’s the epicenter? What made it worst is that we have no way of checking due to lack of internet and mobile network signal in the island. Thank God we’re safe! 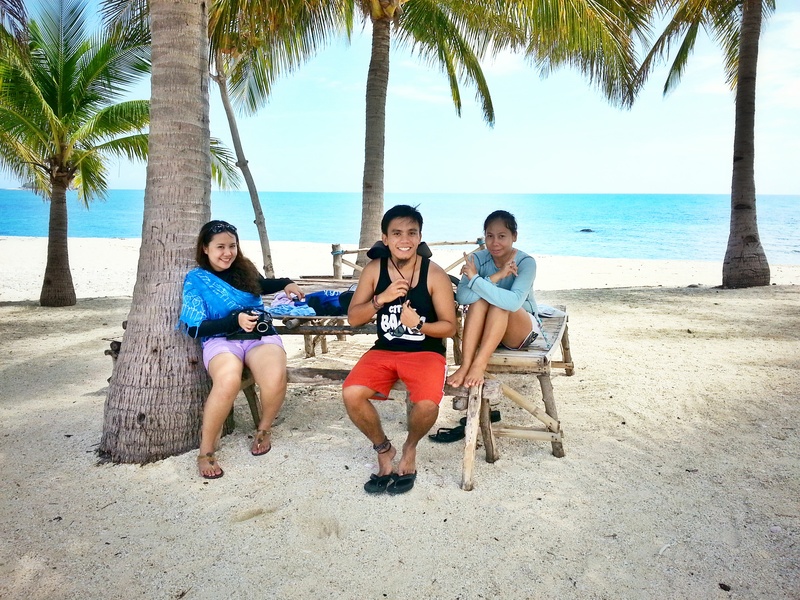 We left still a bit nervous but we had to say goodbye to the nice staff of Gigantes Hideaway Tourist Resort. A trip we will never ever forget. 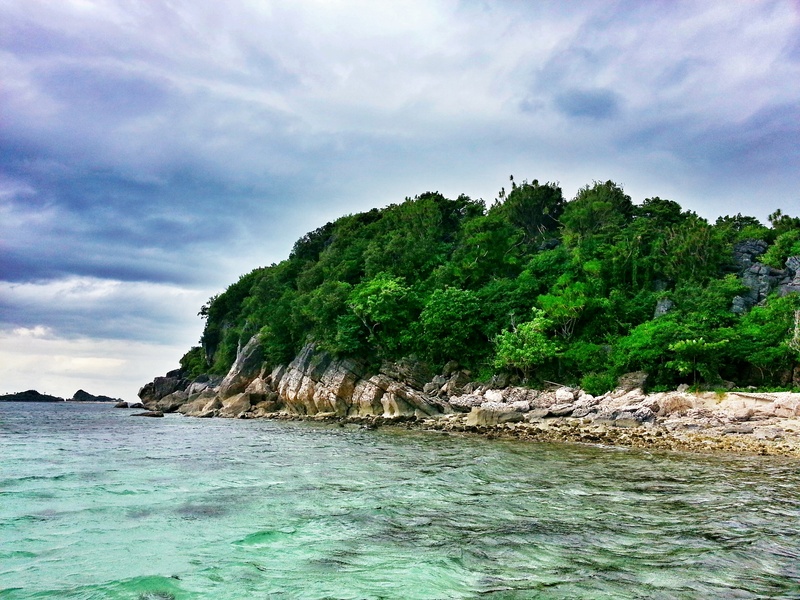 Amazing island indeed. 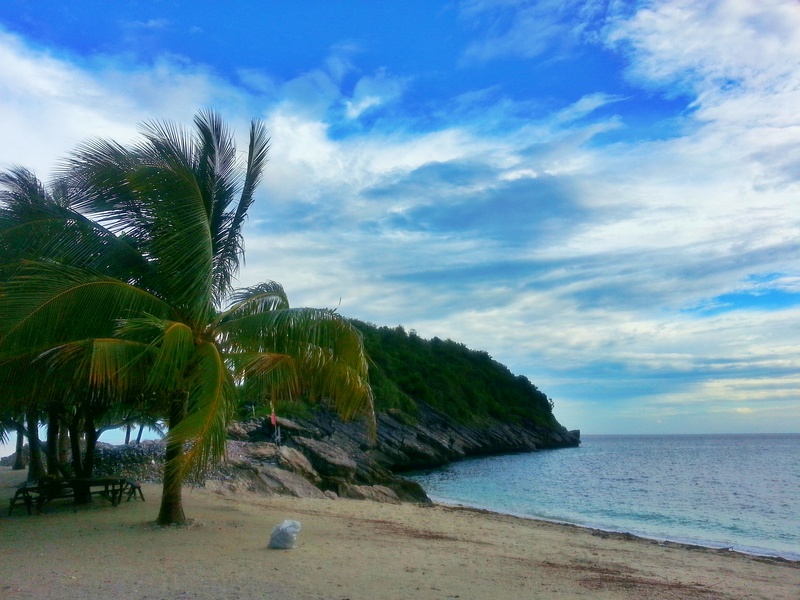 Very accommodating staff, well-mannered guides, endless supply of scallops, fresh seafood and picturesque white sand beach. Life is Good! 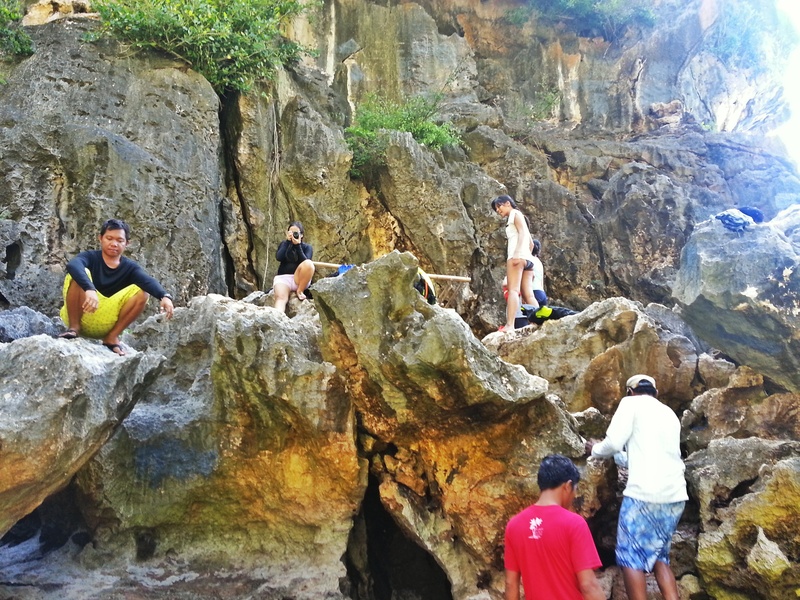 JayR, Flo, Lea, Cleo and myself plus our 2 guides. Joeneber – in yellow short. With a bigger boat this time, it only took us less than 2 hours to get to Estancia port. Oh I forgot to mention, Flo and Lea joined us on the next leg of this trip. 4 is better than 2! Mobile networks are not available in the island so forget about checking your facebook or instagram. Forget about calling or texting, just enjoy and have fun. Bring a nice camera with you all the time and capture every moment. Electricity is only turned on late in the afternoon until 11pm then it switches to power generator. So don’t be surprised if you wake up the following day with no electricity. Be sure to arrive at Estancia Port before 1pm-2pm or else you’ll wait for the next trip the next day. 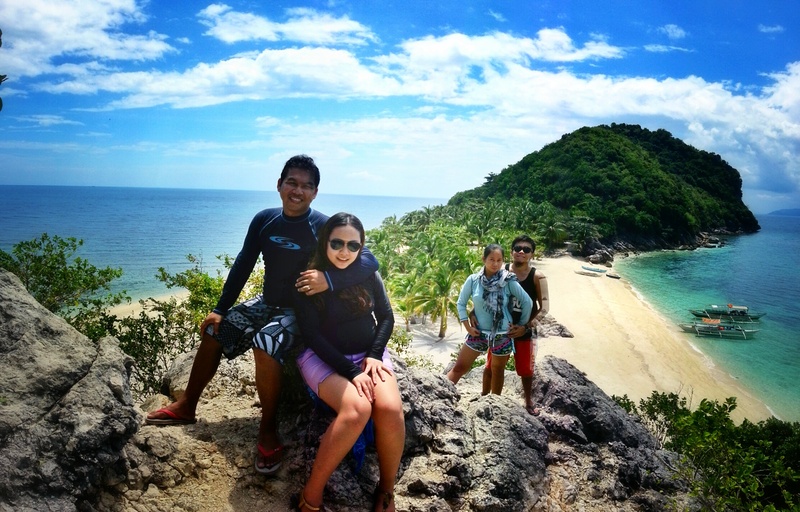 From Gigantes Norte, boat leaves for Estancia at around 8am so make sure to tell your guides to avoid being left. If you wish to stay in an air-conditioned room check with Joel first for availability. During peak season, make sure to book ahead of time to secure a good room. If you own a tent, you can also bring it and set camp inside the resort. Guides don’t have a fixed income/salary so give them the tip they deserve. They solely rely on the tip. Cooking Charge is up to you as well so if you have any request for lunch or dinner feel free to tell them but don’t expect any vegetable dish as they don’t really have a market to buy vegetables on the island. Each cottages have its own toilet and bath. If you’re looking to have a massage, they have 2 local masseuse in the area but don’t expect it to be a spa-like experience. Just ask your guides if you’re interested. 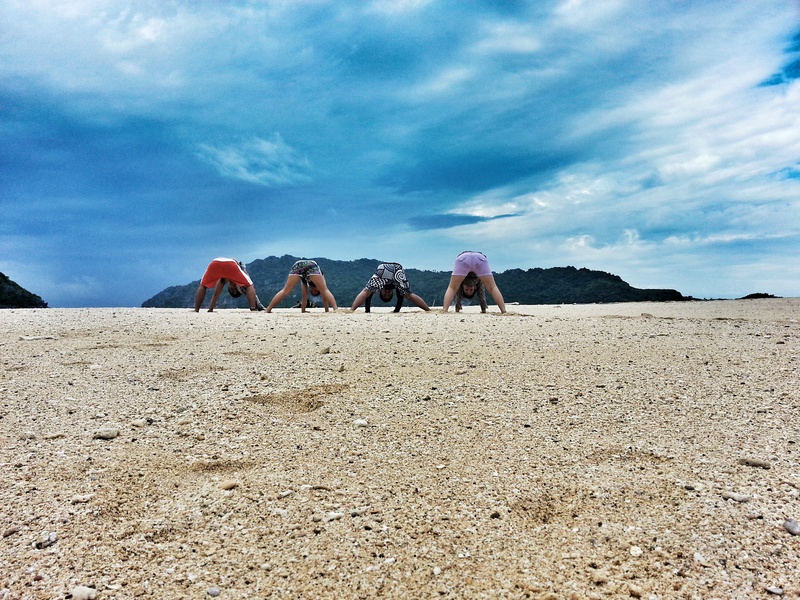 If you are travelling solo and want to spend less, be friendly and join other groups. Local water may taste weird for some so better bring your own supply of mineral/distilled water. From Roxas City you can take bus going to Estancia and alight in Balasan, then take a tricycle going to Carles Port if you want to catch the morning ferry. 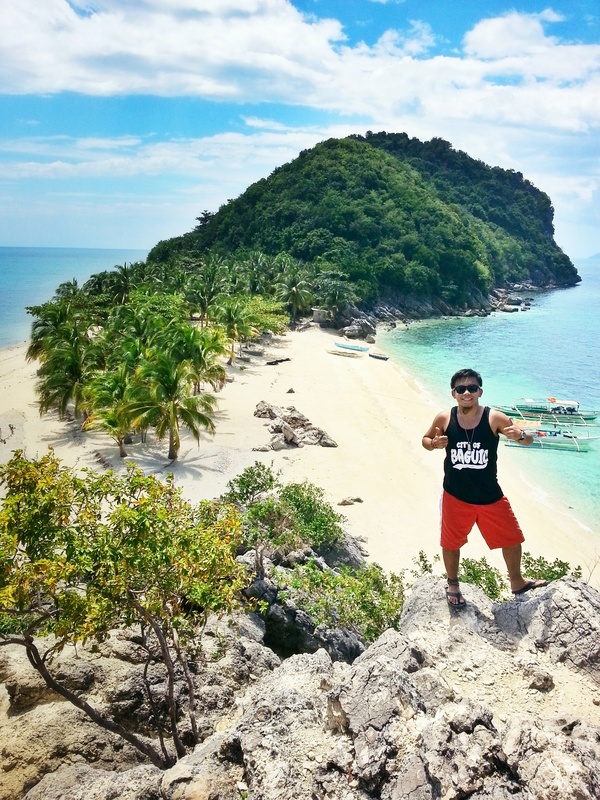 Joel Decano is a tourism office who also owns Gigantes Hideaway Tourist Resort. 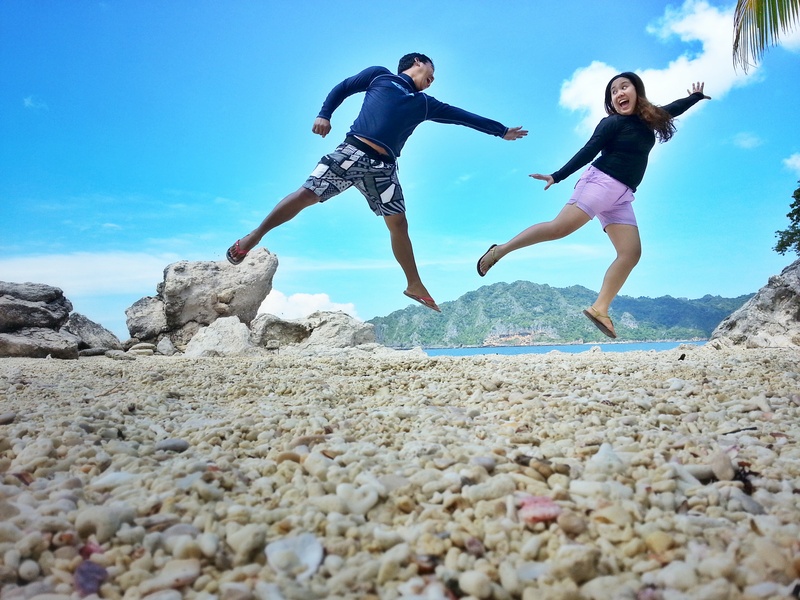 He will arrange everything to make sure you enjoy your stay in Gigantes. If DIY is not your thing, he can also create a package/itinerary for you. 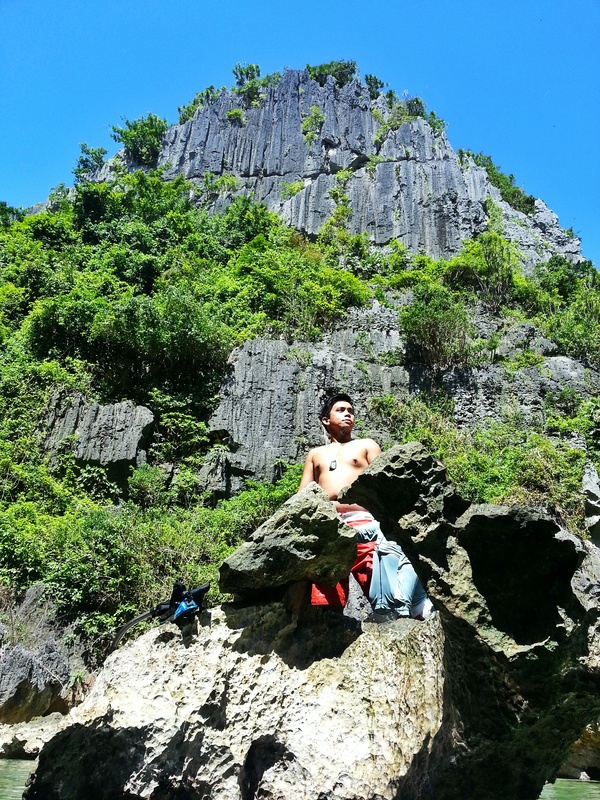 Boy Pestaño at 09999918643 and get Glenn as ur guide. 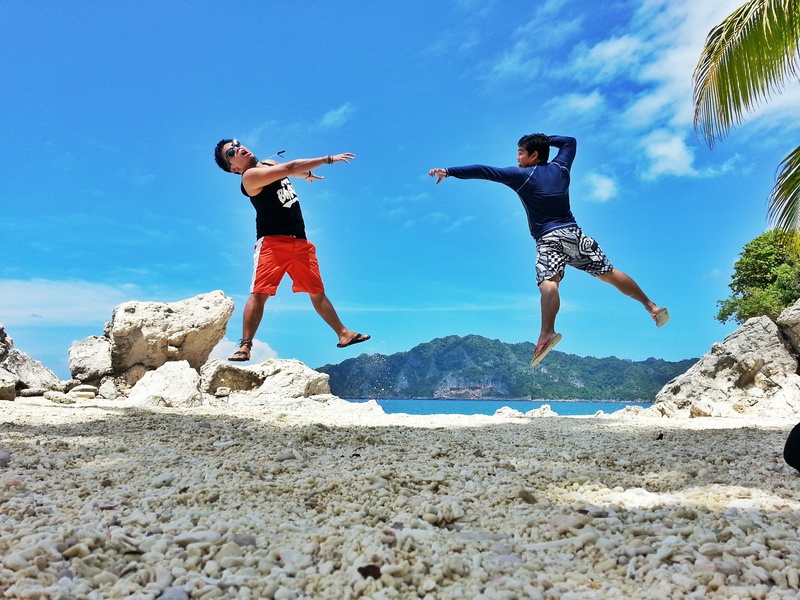 *Arjan Resort is located at Gigantes North and is along the shoreline. They also have boats plying the route of Estancia and Gigantes North. Boat departs between 12 to 1pm. For more information please contact Remia directly. hello po, okay na po ba ang gigantes after Yolanda? It’s best to check po kay Sir Joel. thanks for this.. very detailed indeed.. this wi be my guide as i am planning to go to where you’ve been in Ilo-ilo.. very informative..
Have a safe and enjoyable trip Florence! 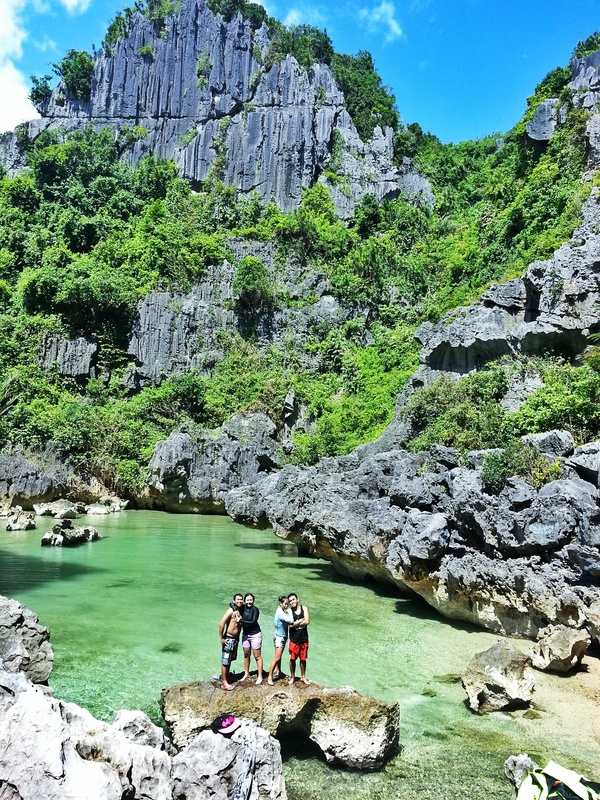 Maraming magagandang Isla diyan sa northern iloilo, isa na ang Isla Gigantes. 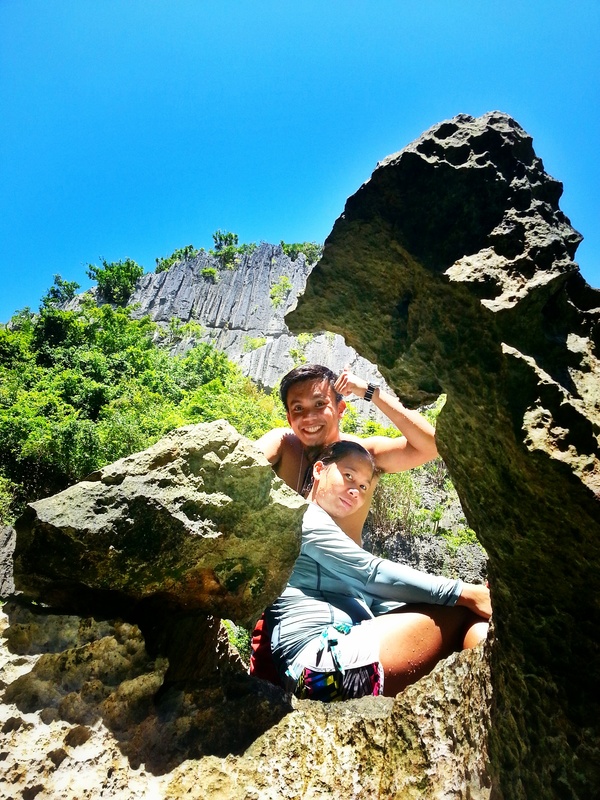 Lagi kami nag outing sa mga Isla long time ago pa nang mga bata pa kami. Worth the visit kahit na malayo at matagal ang biyahe. Wala pa masyadong tao & perfect for much needed R&R (rest and relaxation). 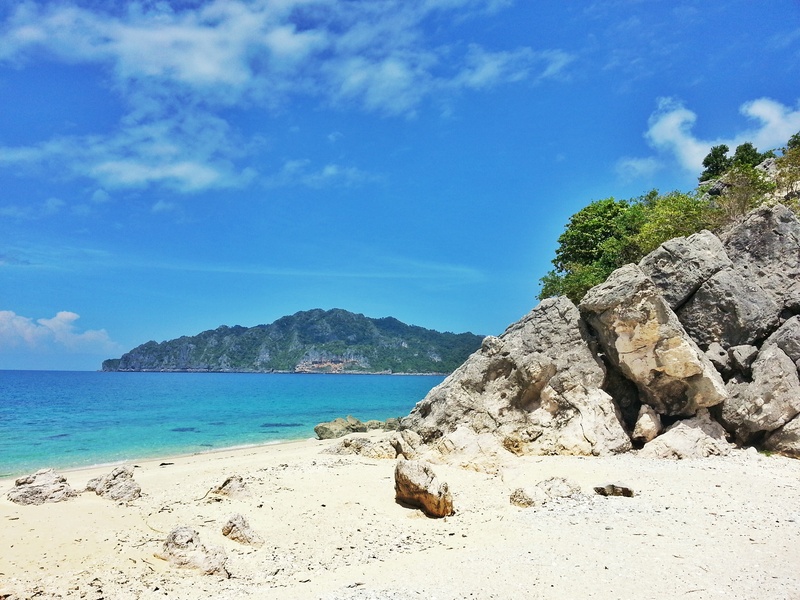 Diyan pala sa estancia mey resort din, Pa-on Beach club, na puede kayo mag stay at they offer different island tours packages, isa na ang Gigantes islands. hi! is your breakdown of expenses for 2 pax already? Should be fine so as long as you check the weather beforehand. hi po! we are planning this december din, yung rent nyo po sa boat for the tour separate po yung bayad dun? or kasama na xa sa tour package po? thanks! Thank you po! curious lng din po, yung 200/head po na accomodation kasama na food dun? or separate po? pasensya na po makulit! The total of your expenses, P6,ooo+ is it just for one person?or for all of you?the hideaway was P3000,how? For the Hideaway bill thats 800 for the accommodation for 2 nights 2 pax. 1800 for the island hopping. The rest are for food for 2 pax from the day 1 dinner to day 3 bfast. That’s Exciting! I only computed based on two pax since we only met them on the boat going to gigantes and that’s roughly 3k per head. We’ll be going to Roxas City this coming Saturday. Our problem is that we have a tight flight schedule: arriving at 11AM in Roxas Airport (11/29) then departing at 11AM on Monday (12/01) in the same airport. 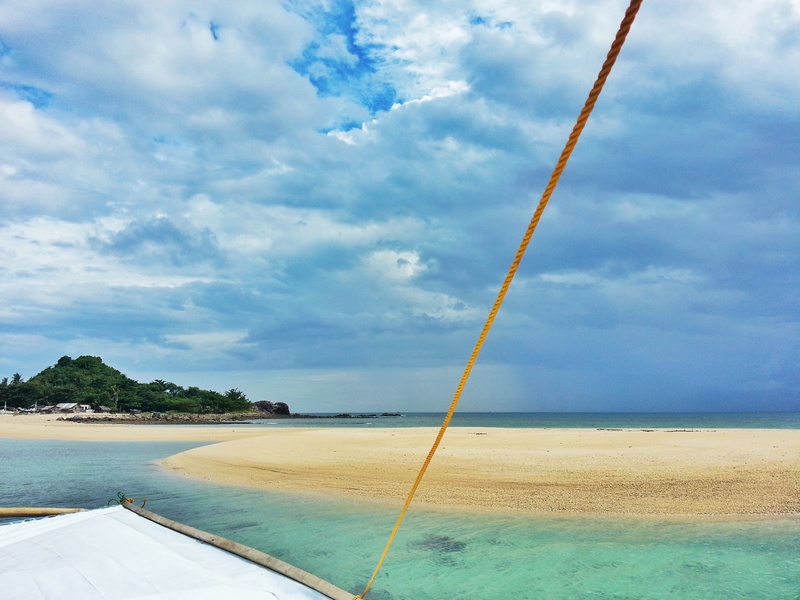 You’ve mentioned that there’s only 1 passenger boat plying Estancia-Gigantes route which leaves between 1pm-2pm. Will we be able to make it? Is there an alternative way to get to Gigantes? You might make it just in time since it takes 1.5 to 2.5 hours to get to Estancia from Roxas via Van or Ceres Bus. 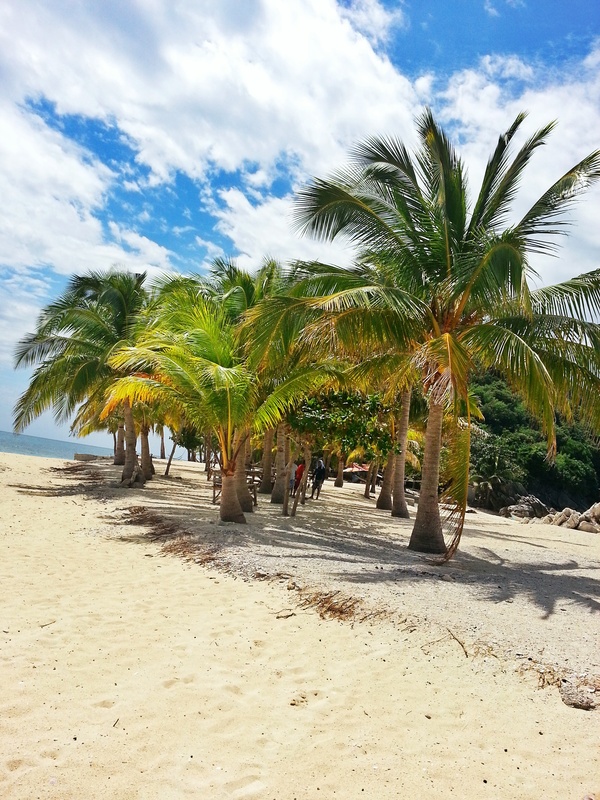 Have you made contact to anyone from where you’re going to stay in Gigantes? They might be able to talk to bankeros to wait for you. Other option is to rent a private boat but it will be too costly. Hello po, Ako po Ay Taga estancia. Mey resort po diyan sa estancia na ang pangalan ay Pa-on Beach Club. 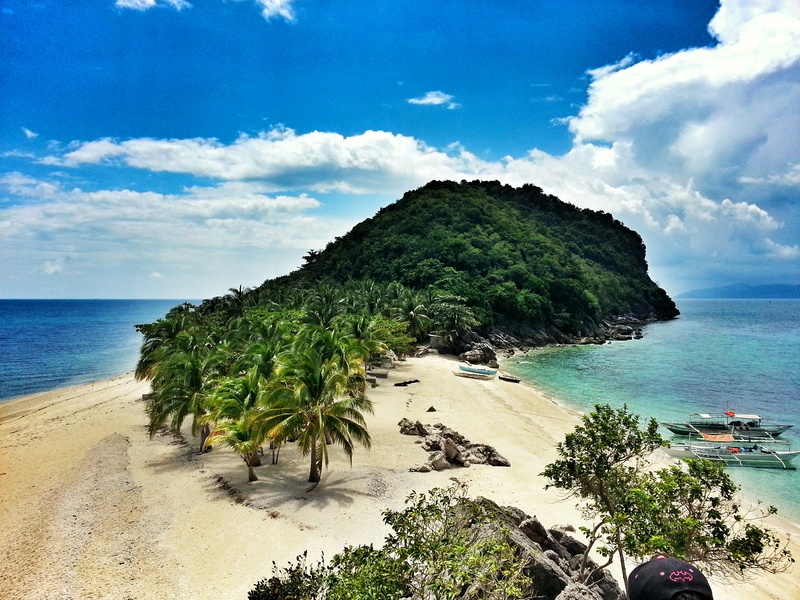 They offer island hopping sa Ibat ibang isla diyan including Gigantes island. They can also make arrangements for you sa maskyan niyo na pumpboat. 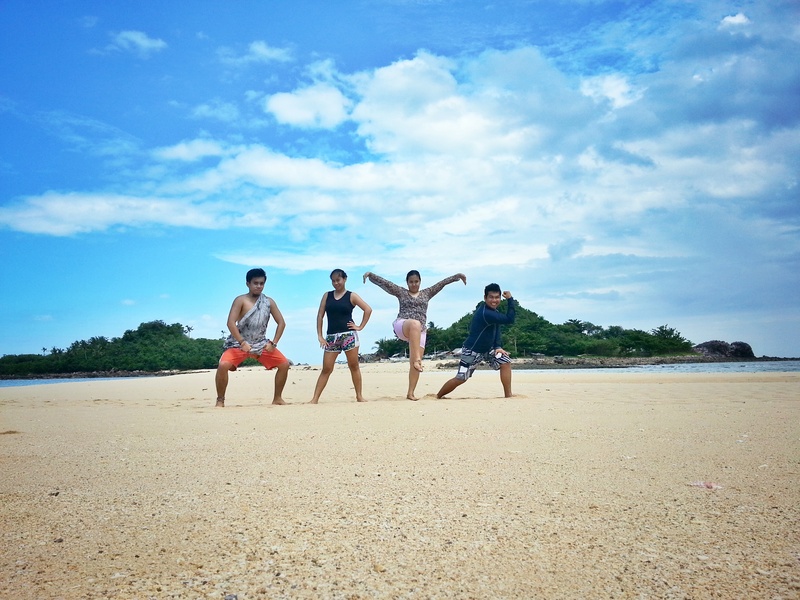 If you’re interested eto ang number nila 397-0488 at just google website paon beach club estancia. Depends really sa weather condition. Malaki naman ung boats. 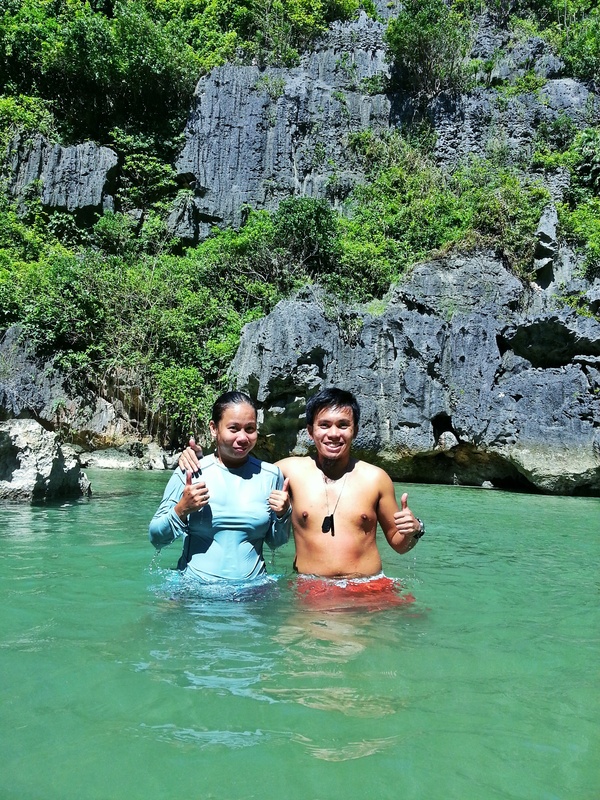 hI poh tanong.lang poh magkano ang 3 days.and 2 nights nyo for 2 person?dis coming january poh..tnx. ***pls dnt publish my email..
Hi! We’re planning to visit Gigantes next month, would you know if what time is the first trip of the van at Tagbac Terminal? And would you also know if there’s any transportation from Iloilo airport going to the terminal? Thanks! First trip can be as early as 8am but it will only leave until all seats are taken. From the airport you have the option to take a cab directly going to the terminal or take a shuttle to sm city then take a jeepney to the terminal. thanks for sharing. most helpful! Thanks Maia! Di ko pa natry sa Arjan Resort but a friend recommended it. FYI, Schedule of ferry from/to Isla Gigantes. 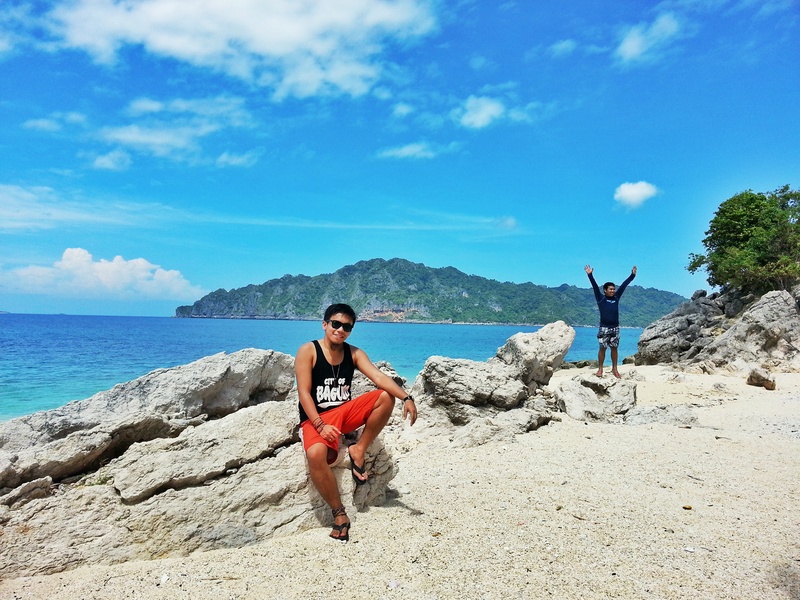 Just came back from a 3D/2N stay in Gigantes Norte December 2015- Arjan Resort. 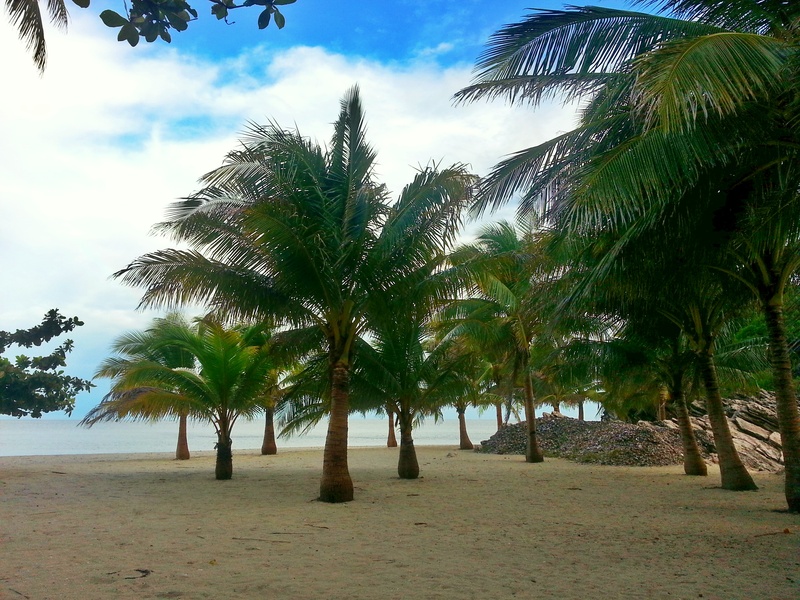 If you seek seclusion and tranquility stay at the private resorts in Cabugao Gamay and San Antonia. 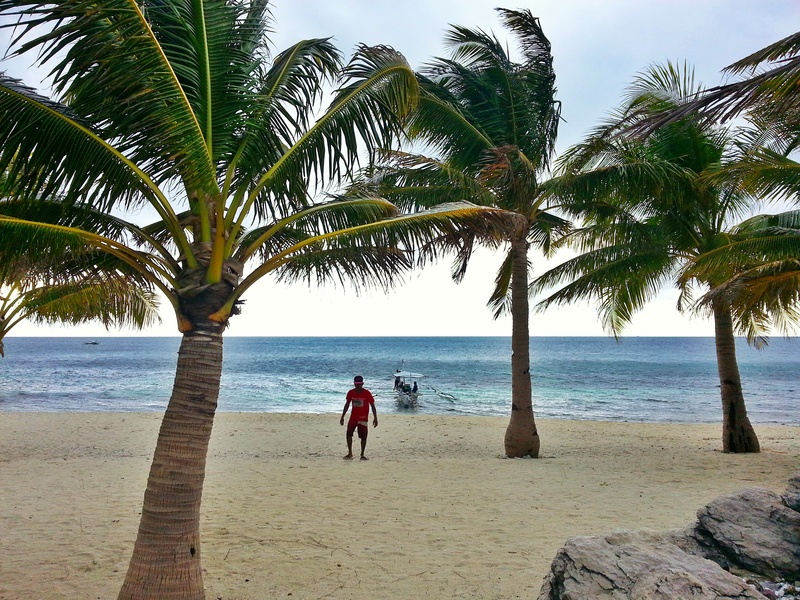 Do not stay in Gigantes Norte and Sur resorts unless you don’t mind being surrounded by the island’s residents. People’s houses are literally at the back of Arjan and Jesa resorts (both at Norte), they’re beach front alright but it’s always low-tide and no waves – you got to walk at least 50 meters for a knee deep water, it’s more like a lake than a sea. Solo travellers please be warned, do not eat in Arjan resort. There’s a 150 paluto or service charge and ingredients charge on top of your order. E.g. Half kilo of scallops is Php 90 + 1 cup of rice Php 15 + service charge 150 = 255 Total for just 1 meal. Paluto is only worth the Php 150 if you’re in a big group. The blogger of this site might want to update info: Entrance fee in Cabugao Gamay is now Php 50 and Php 40 in San Antonia, it more than doubled since this article was written. 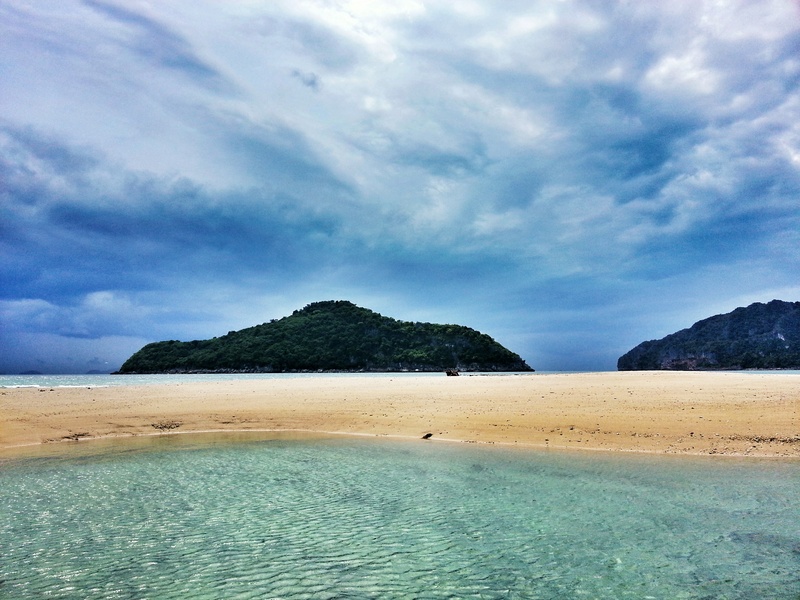 People might want to know that there’s a boat travelling to and from Carles and Gigantes island. Carles is closer to the island – just 45-minute boat ride as opposed to 2 hours from Estancia port. 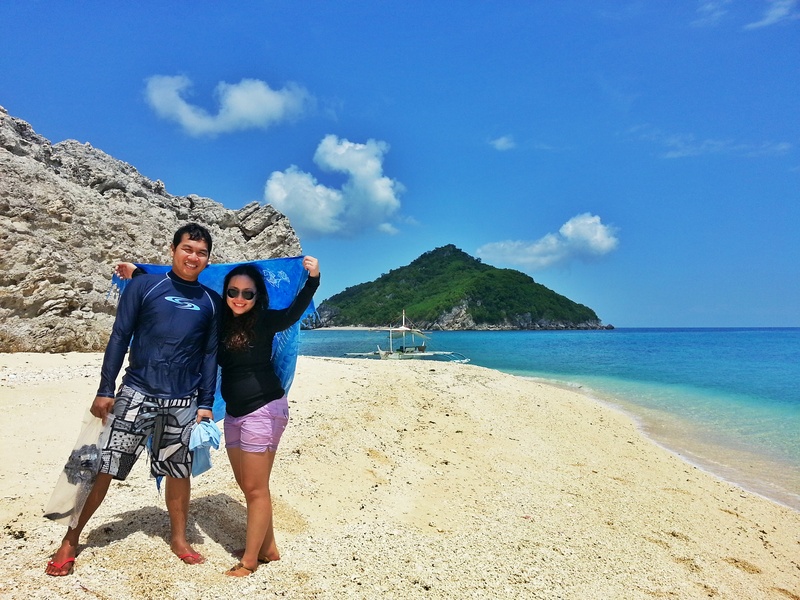 It leaves at 10 am for Gigantes and goes back to the main island at 2 pm. Much earlier than the ones in Estancia (2 pm going to Gigantes and 8 am back the next day to Estancia – not a very efficient time). 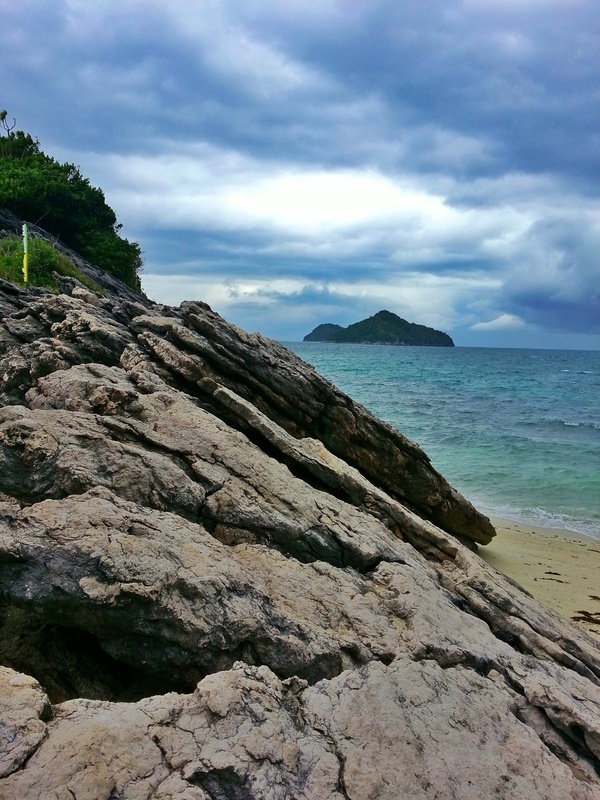 Best to do day tour if you’re after the island hopping experience only. That is really helpful Ash. Thanks for the update. hi po. 2650 po yung binayad nyo, ilan po kayo? Pupunta po kasi kami next month. Hi Iena. I hope this reply isn’t late yet 🙂 Tatlo kami tapos 2650 each yung bayad. Ask ko lang po if magkano cost po kung dlawa kayo. 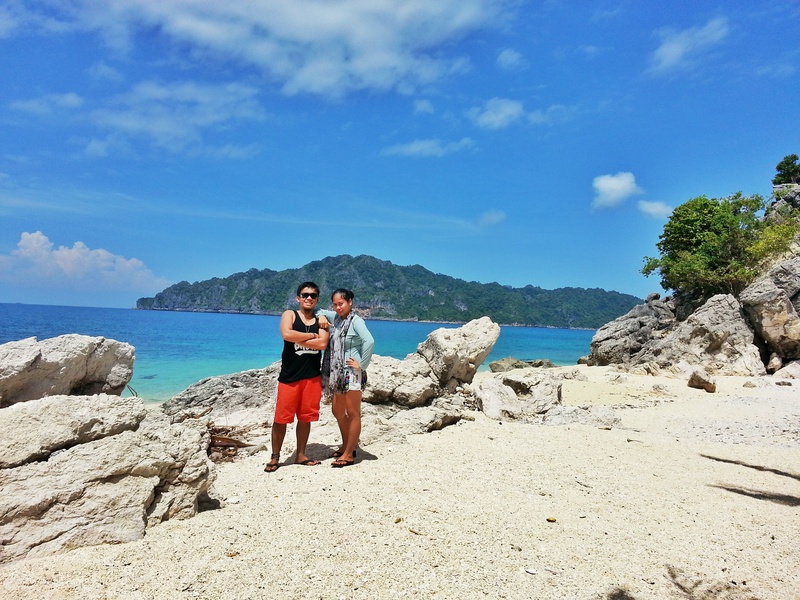 from bacolod to gigantes island? hi po!! 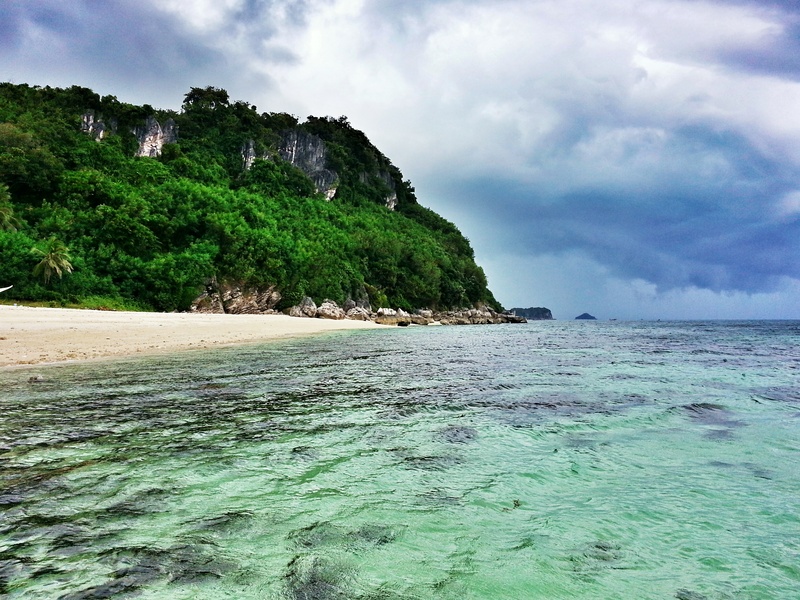 we’ll be going there 2nd week of november… our arrival at roxas is around 11:00-11:20 am. praying our flight wouldnt be delayed. you think po makakaabot kami sa public ferry? if maiwan kami ng ferry.. is there another way para makarating ng gigantes. that same day? Bali nka booked na po yung flight ko going to Roxas City this coming Feb. 1-6 (4:30pm arrival at Roxas Intl. 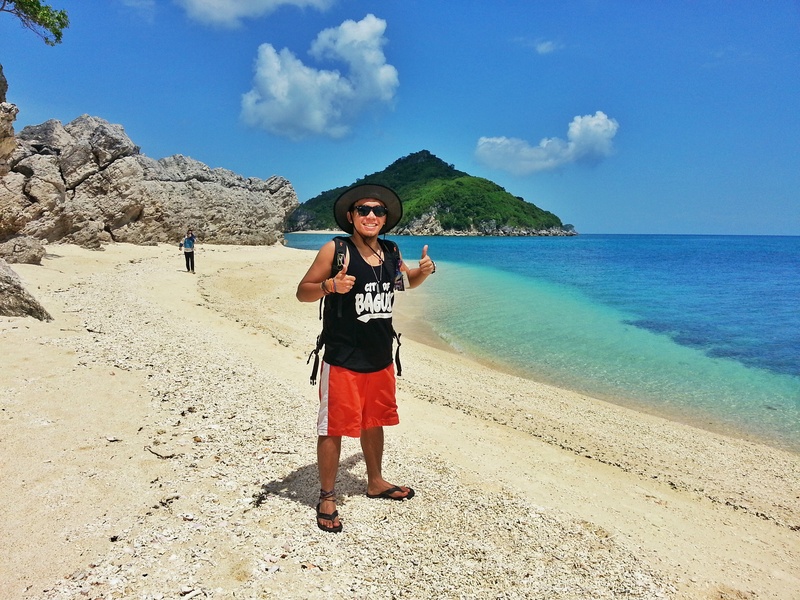 airport) and Gigantes Island was already part of my itinerary. 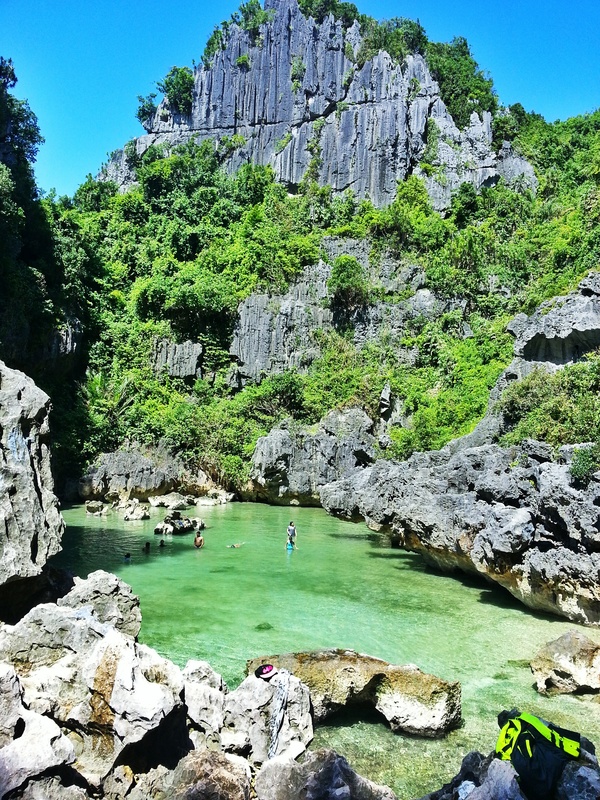 Bali hinge lang po sana ako ng suggestions/recommendation niyo po if saan pa po maganda mag side trip para ma-maximize ko po yung 6days VL ko po. I’ve heard na maganda rin daw po mag punta sa Conception, Iloilo City (Balubadiangan Island). Bali ano din po kaya maganda unahin, mag Concepcion po muna ba ako since di ko na po maabutan yung alis ng bangka pa Gigantes Island or mag Giagantes po ako. Since medyo late na yung dating mo spend ka nalang ng time sa Roxas at magfoodtrip. The next day ka na mag-gigantes then after gigantes since morning naman normally ang byhe pabalik then punta ka na sa Concepcion. The best daw pumunta dun around Feb so sakto punta mo. hello po. just wondering, yung budget details nyu po is good for two na? or how many pax po yung naka lagay dito? thank you.